Why we should not resurrect Napoleon Bonaparte. 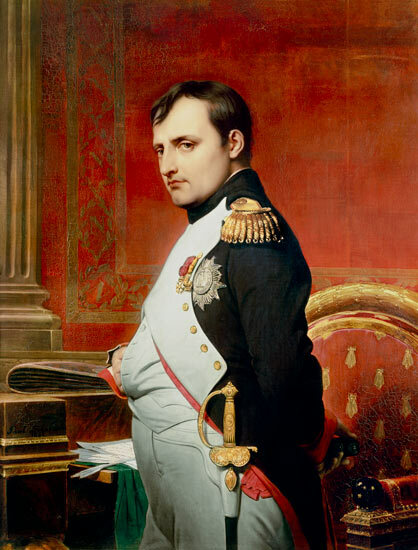 Poulos abandons Mr. Bonaparte for a time, and the rest of the piece is a rather innocuous discussion of why French values — embodied by the imperious (and imperial) Bonaparte — must triumph over German values if the EU is to survive. I’m not interested in discussing the details of the EU here, but rather the fundamental outlook Poulos is expressing. There are many problems in the world, some of which demand the attention of people from across national boundaries. But ‘political unity’ is not always the answer — either across borders or within them. ‘Political unity’ at the hands of an megalomaniacal military conqueror (even if just for spicy allegory) only channels the kindred spirits of tyranny and tragedy. Reasonable people disagree about what it means to lead “the good life.” Reasonable people disagree about their duties to their fellow man. Reasonable people disagree about the content of the terms ‘justice’ or ‘truth’ or ‘sanctity’ or ‘love.’ We can wish this weren’t the case (I certainly do, all the time), but it is what it is. Political institutions are the tools we are given to frame our own pursuits of the good life and our own moral codes. By forcing all people beneath a single political framework, we create conflicts. Suddenly any conflict of values becomes a struggle for control over the political framework. If you don’t seize the helm, someone else will. Anyone observing the bloodthirsty debates over ‘creationism’ in public schools, or whether our centralized health agencies must pay for contraception has a window into what full-fledged ‘political unity’ brings with it. The erratic flows of government money, lobbying and special-interest wrangling in Washington DC or within the EU is the economic counterpart to the battle for a ‘unified’ political engine. If, as I think is quite possible, these ultimate values are simply beyond the powers of logical argumentation to fully resolve, then to unify all people under a one-size-fits-all social framework is to condemn all of us to a future of constant fighting. A parting thought. I live near a dense community of traditional, extremely conservative members of a Hasidic Jewish sect. I object to many aspects of their lifestyle and belief system, especially the way women are regarded as second-class citizens. I believe it is perfectly acceptable to criticize this as regressive and wrong, but should I get my own Bonaparte and “spread my armies across” New York City to ‘unify’ the Hasids beneath my will? This conflict of philosophies between the Hasids and I can be contained, because we do not need to struggle for control of the same institutions. They can run their own schools, wear their own special clothes, and run Kosher shops. I can read heretical literature at a secular university, eat non-kosher food, and flirt with gentile girls. And I can even, should I want, shop at Hasidic stores (which, by the way, are often the best-run around). I can even sit next to Hasids on the train where we, in true New York fashion, politely ignore each other for the duration of the trip. In the areas where we agree (the efficacy of taking the subway, where the best produce is for sale), we converge and have peaceful exchange; where I disagree with them (what days are sacred, where to go to church, sexual relations), we part our separate ways and ‘do our own thing’. This arrangement is possible because of the scope that still remains in New York City for choice in education, food, or religion. If we had to live beneath a fully ‘politically unified’ education system, or food regime, or religious outlook, you can rest assured I would have far different feelings about people trying to impose a Hasidic lifestyle on me. And they wouldn’t care much for my lifestyle either. Perhaps Poulos should consider the wondrous diversity of Europe before he gets out his exhuming shovel.